Feel good on your bike – 365 days a year! Thermal clothing and the associated layering systems have long-since become a standard and defining part of our sportswear. But clothing that is doing a great job for joggers is not necessarily the ideal companion for bikers – the specific demands are simply too disparate. The clothing system needs to master three essential tasks. Firstly: wick away moisture from the body. Secondly: guarantee a constant and pleasant body-heat distribution. And thirdly: provide effective protection against the elements. 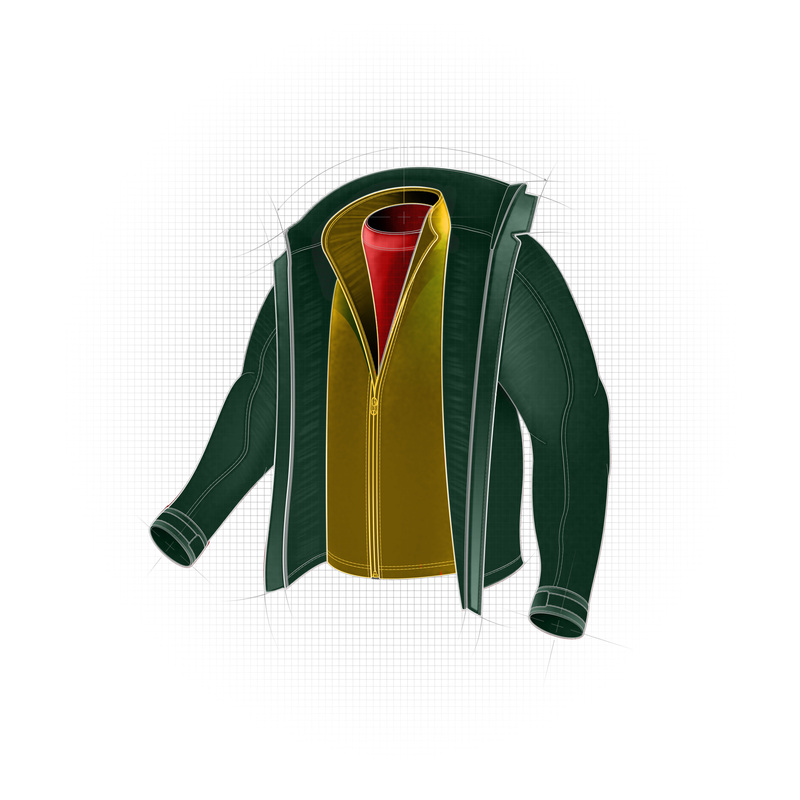 In practice, people usually wear a base, middle and outer layer – the classic layering system. 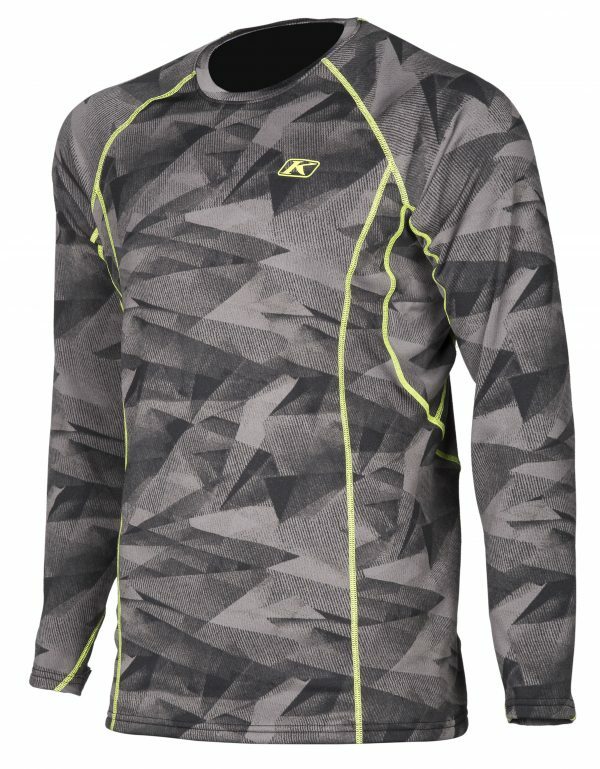 Base Layer: Thermal underwear by KLIM is significantly more wind-proof than designs by competitors and is therefore much better at reacting to the challenges of “power sports”. Closely woven and with a substantially greater amount of material, it is specifically designed to perfectly meet the needs of motorcyclists. 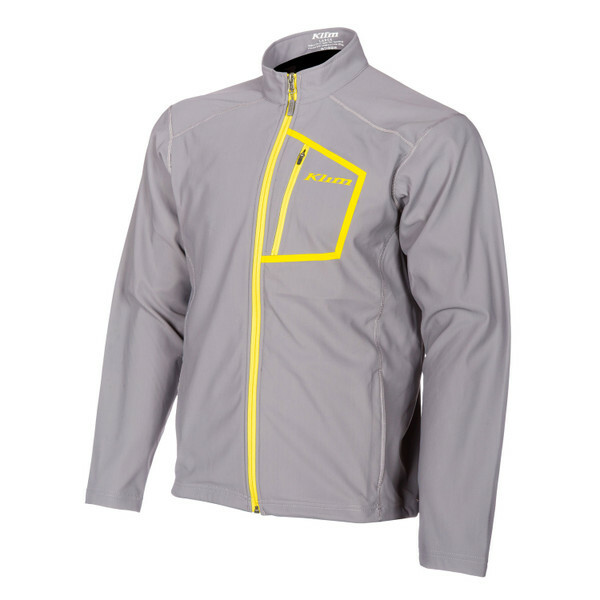 Simultaneously, the fabric wicks away moisture from the body extremely effectively, because: dry = warm! In order to be able to provide the ideal Base-Layer for every season, KLIM have divided their range into four categories: -1.0 and 1.0 are designed for summer and use in normal temperatures. 2.0 and 3.0 provide increased heat insulation for cooler and cold temperatures. The additional thermal insulation is positioned in strategic areas, i.e. around parts of the body that are in danger of cooling down most. AGRESSOR -1.0, 1.0, 2.0 and 3.0 as well as SOLSTICE 1.0, 2.0 and 3.0 are designed for female motorcyclists. Mid-Layer: Perfect your body-heat balance with the right Mid-Layer. Moisture is transported away from the body, allowing the climate membrane of the top layer to take full effect. The Mid-Layers by KLIM range from soft shell (jackets and trousers) with wind-stopper function and sealed seams to nylon jackets with 3M™ Thinsulate™ Platinium insulation to pullovers and jackets made of Arctic Fleece – depending on your needs and personal preferences. However, they all have something in common: they are all highly breathable and take up next to no space. Smooth, slippery surfaces ensure superior mobility in combination with the outer layer.